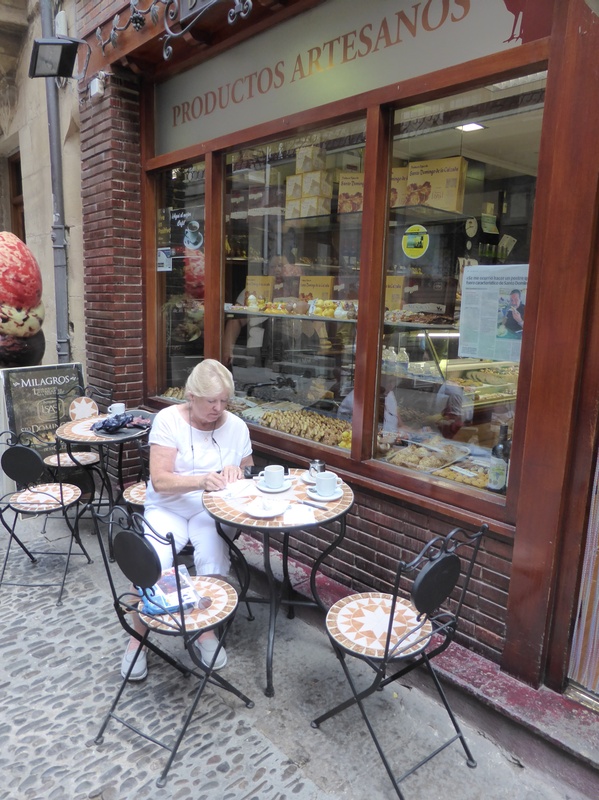 A day for coffee and treats. Amazing the people you meet , here is Zoltan from Hungary. He is on the last leg of his 15 month around the world bicycle tour. He did the Camino 10 years ago – it changed his life. Still owns his pizza shop but lives a very simple and basic life and is very happy to have shed most of life’s trappings. 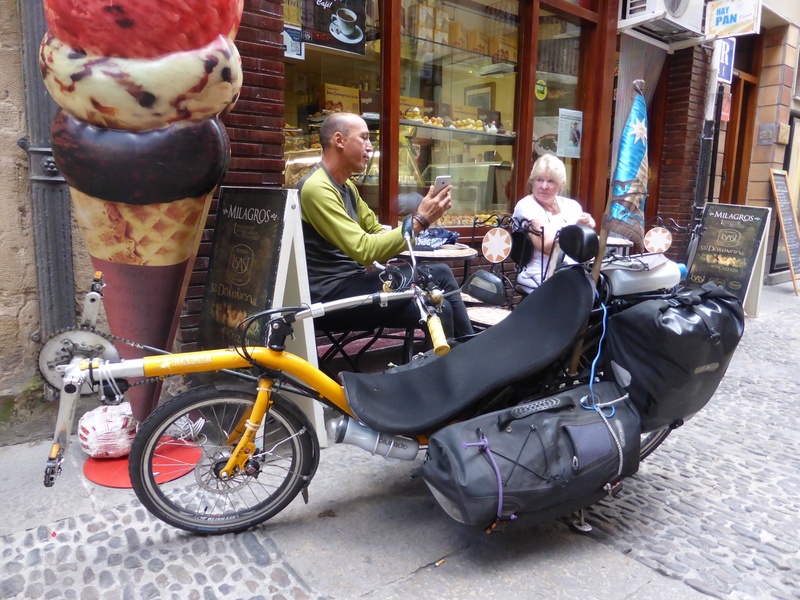 Amazing bike – latest in efficiency, he even has a solar powered cell phone! 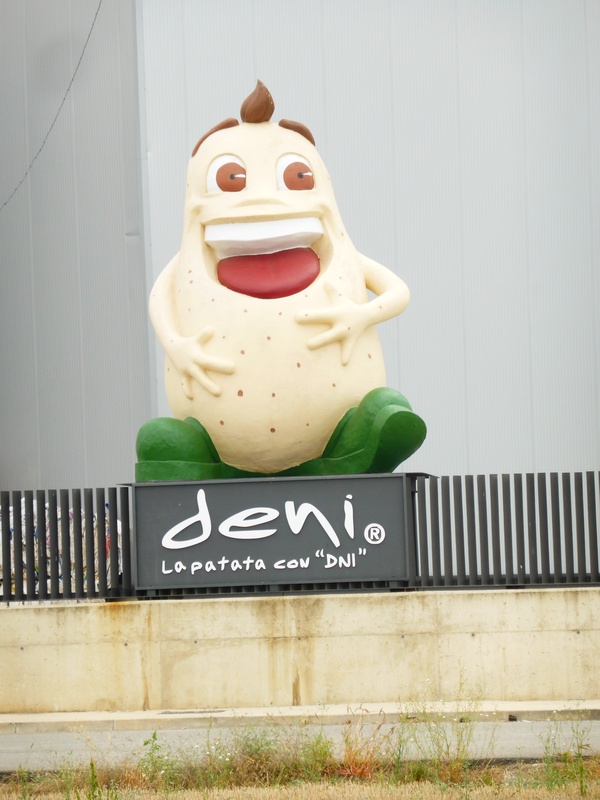 This is a potato growing area – here is the mascot for the local potato company – for the grandchildren! 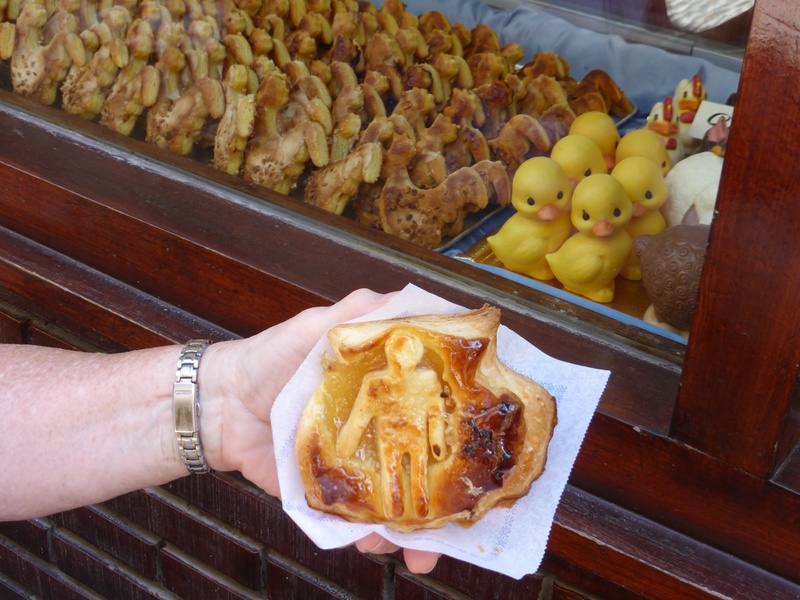 Called the “Ahorcaditos” – a local specialty – an almond pastry depicting the Pilgrim on the Camino Shell. Very good! For all the Grandchildren,check out the yellow pastry ducks!! Santo Domingo is named for the patron saint of civil engineers. As a young man he wanted to join a monastery but failed and he became a hermit. A chance encounter with San Gregoire, who was given the task by King Alphonso of encouraging Christians to the area to counter the growing Muslim presence, resulted in Santo Domingo being ordained. San Gregoire and Santo Domingo together oversaw the construction of roads, bridges and hostels along the way. Coming into town we passed large storage buildings which according to the signs were full of potatoes….then we came upon a loading area with the same signage. This seems to be the potato area of Spain?